At South Austin Locksmith, we have a mobile team of local, experts locksmiths in Bastrop TX! If you need emergency locksmith services, our experienced technicians are available to assist you 24/7 with a 30 minute response time. Our technicians are trained in the latest technology and are provided with the latest high-tech tools and equipment to assist with all your lock and security needs for your home, car, and business. As a local locksmith, we strive to build and maintain our reputation as professional and honest with upfront pricing and no hidden fees. We are fully licensed, bonded, and insured. When you need a locksmith in Bastrop Texas, you can call us with confidence. Whether you are locked out or cannot secure your home, car, or business you need assistance as quickly as possible. Luckily, you can count on us! Our friendly mobile, emergency locksmiths can provide round-the-clock assistance with a 30 minute or less response time. As a 24-hour locksmith, we understand the importance of providing you with highly trained experts with all the tools and equipment necessary to resolve any emergencies. 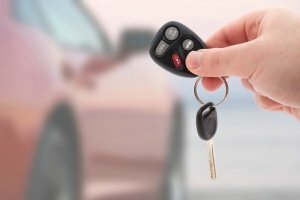 So, whether you are locked out of your home, car, or business, need a broken key removed, need a new key made or programmed, even car fobs and transponder keys, or need a lock repaired or changed, whatever your emergency lock situation, call us, and we will promptly dispatch a local technician. Vehicle lockouts are not the only automotive locksmith service that we provide. We replace all types of car keys for all types of vehicles. We can quickly arrive at your location with all the tools needed to replay or duplicate your keys including, laser cut keys, car fobs, and transponder keys on all makes and models of vehicles. Our automotive locksmith technicians can repair ignition cylinders and replace door and trunk locks. When you need a locksmith for your personal or company vehicle, we bring our mobile locksmith services to you day or night within 30 minutes or less of receiving your call. Our technicians all have over five years of experience, and we provide them with the tools and equipment they need, including the latest technology, to get your personal or your company vehicle moving again. And because we come to you, you can skip those costly and time-consuming trips to the car dealer for new keys. 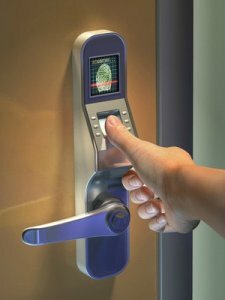 Our Commercial Locksmith Services Include Security Solutions For Every Area of Your Business. At South Austin Locksmith, our highly trained commercial locksmiths and fully-equipped mobile locksmith vans are available 24/7 to help you secure or gain access to your business in an emergency. We will respond in 30 minutes so you can quickly get back to running your business. We can repair, maintain, and replace locks on doors, gates, file cabinets, and safes. However, our technicians can also provide you with a safety audit of your business offering any suggestions on more and better ways to secure your property and keep your customers and employees safe. They will provide plans within your budget. Our first recommendation is to always change or rekey locks when you move into an existing location. Then you can be sure no one outside your company has access to your property. We ensure your business property is up-to-code! Being a local locksmith, we ensure that your business complies with all the local codes including the installation of panic bars at emergency exits. Since locks in commercial properties get heavier use than locks in residential properties, we recommend commercial-grade locks. We offer energy-saving door closer systems, magnetic door locks, CCTV systems, electric strike installation and repair, and more. Whether your business uses traditional keys or keyless entry systems, we can create master key lock systems for your business. For landlords, one master key would give them access to all their properties, but tenants would have a key that only accesses one property. For other businesses, lower level employees would have a key that accesses limited areas of the business, higher level employees would have a key that accesses more areas, and district managers might have a key that accesses multiple locations. Keyless entry systems can even be setup to keep a record of who entered an area and when they entered. With our years of experience, we can help you choose a plan that is best for your business, meets your bottom line, and we can schedule any work at your non-peak business hours, even at night. For our residential customers, South Austin Locksmith provides 24/7, 30-minutes-or-less residential locksmith solutions. Whether the problem is a home lockout, broken key, broken lock, or burglary damage, we are here for you. Our friendly technicians can also help you with mailboxes, safes, cabinets, toolboxes, sheds, and gates. When you move into your new home, our technicians can change or rekey your locks, or we can install a keyless entry lock system that fits your budget. We also offer garage door repair and installation services. We are proud of our reputation as professional and honest with upfront pricing and no hidden fees. We are fully licensed, bonded, and insured. So you can call us with confidence. If you read the standard definition for a locksmith, it is a person who makes or repairs locks. However, becoming a locksmith no longer just requires understanding the mechanisms of a traditional lock. Like many fields, technology has expanded the skills required to become a locksmith. Locksmiths receive training in carpentry, electrical engineering, computer programming, and a whole lot more. And our licensed locksmiths are constantly staying up-to-date on the latest technologies and techniques, and provide friendly assistance in times of stress and uncertainty. So, get in touch with us at any time and schedule an appointment or request immediate locksmith assistance in Bastrop today. 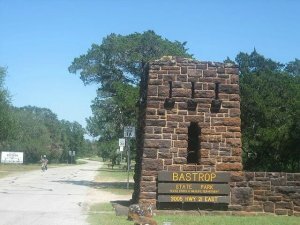 Bastrop Locksmiths https://south-austin-locksmith.com/bastrop/ 4.0/5 based upon 31 reviews.